Born in Southern California, Karmann began taking piano lessons at the age of 6. 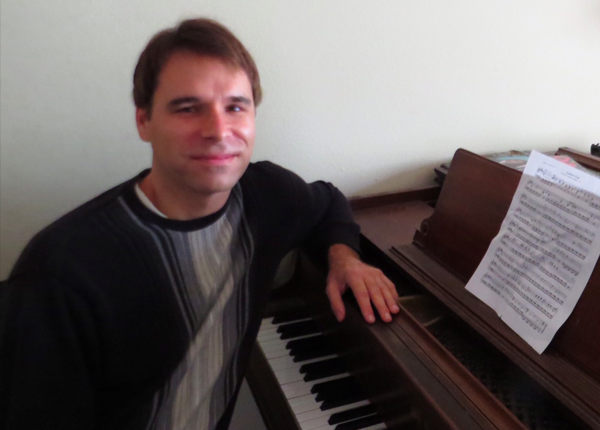 He took 10 years of classical piano lessons completing the certificate of merit program at the age of 16. Upon entering high school, he joined the jazz band and began learning about other types of music and styles outside of classical music. While in high school he began playing the guitar, drums and the trumpet. After high school, Karmann attended Cal State Northridge graduating with a degree in music business. He took a job playing on cruise ships afterwards and spent the next few years traveling around the world playing in various orchestras, trios, combos, and solo. He has experience teaching various instruments to students of all ages. For him, it’s important that the students enjoy the classes and learn songs and styles that interest them. “Helping students of all ages learn and enjoy music, is a gift that keeps on giving”. Instruments: Piano, Guitar, Bass, Drums, Trumpet.